Bamon!. 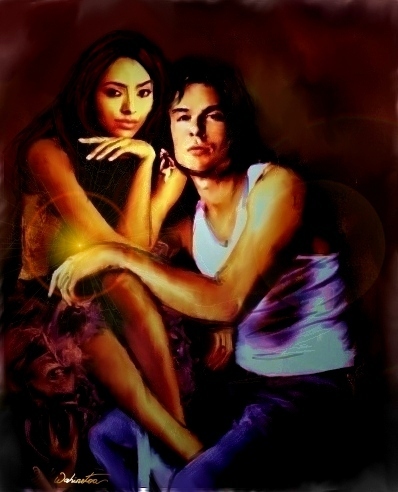 Photo-painted 由 mouse/hand.. Wallpaper and background images in the The Vampire Diaries Couples club tagged: the vampire diaries damon & bonnie bamon damon bonnie. This The Vampire Diaries Couples fan art might contain 动漫, 漫画书, 漫画, 卡通, 漫画卡通, 肖像, 爆头, 特写镜头, 特写, and 爆头特写. Love it! Have you ever been FOTM for Bamon spot Wahinetoa?